How is buying a cottage different from buying a home in the city? We’re at that time of year when people think about their summer getaways. While a cottage can provide a retreat, it can also raise issues that don’t apply within city limits. For example, what is your water source and sanitation infrastructure? What form of heating does your dream property use? Cottages often present costs and concerns that go well beyond where to buy seasoned firewood for your wood stove. When scouting out a cottage, it’s best to hire a real-estate representative who has experience in that part of the market and understands its unique characteristics. It’s also a good idea to find someone who has knowledge about the area where you want to buy. 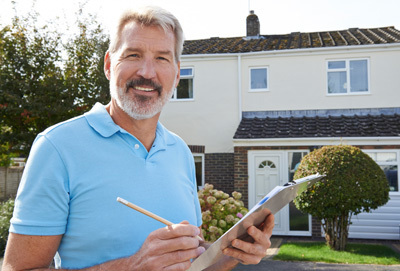 In addition, I strongly recommend a professional home inspection from an individual with knowledge of recreational properties. They’ll be able to identify underlying issues with the cottage’s major systems, including heating, cooling, plumbing and electrical. Also, consider the two big-ticket systems you don’t usually have to worry about in the city: the water source and the septic system. Ask for a water quality test. It’s also a good idea to hire a water inspector to ensure you’ll have sufficient water for your use and that the system installation meets provincial standards. The health of a septic system is harder to determine. Your agent can ask for its service records, or find the records at the local health unit. It’s also important to remember that septic systems are not typically included in a regular home inspection. You may need a specialized inspector to ensure the system is functioning properly and that it has been installed in compliance with provincial standards. Access and easements are other matters that your real-estate rep should look into. If you don’t have year-round access directly by a municipal road, how do you get to your property in the winter? Do you have to go through a neighbour’s property? If so, is there a formal agreement in place? Informal agreements may not be extended to you as a new owner. Also consider beach or water access. Do you have direct access, or do you have access rights through a nearby property? How formal and secure are those rights? Ask your representative to confirm whether you will own the shoreline, or if not, whether you have the right to use it. It’s always a good idea to ask if there’s an existing survey of the property. If there isn’t one, it may be worth the expense to have one done. If the property is zoned “seasonal,” does the municipality provide emergency services or road plowing in the winter? Are you allowed to be there year-round? How are neighbouring properties zoned? Could new development intrude on your view? These are key questions that should be answered before you put in an offer. You should also consider the carrying costs for the property. Even if you’re only there six months of the year, the mortgage payments, insurance and property taxes continue year-round. The cost of utilities can be particularly tricky, because they vary according to how the property is used. Even travel time and costs should be taken into account. Relaxing in the country can be a dream come true, but it’s important to take the proper steps before you dive into a purchase. Joseph Richer is Registrar of the Real Estate Council of Ontario (RECO).